TEXAS. A word that today is known around the world, describing a place which conjures up many different images in the mind’s eye. A place which is often larger than life, both as to the landscapes and those who inhabit it. TEXAS was not always called that—we do not know, for example, if the original Texans who called this land home had a name for it prior to the arrival of the Europeans. 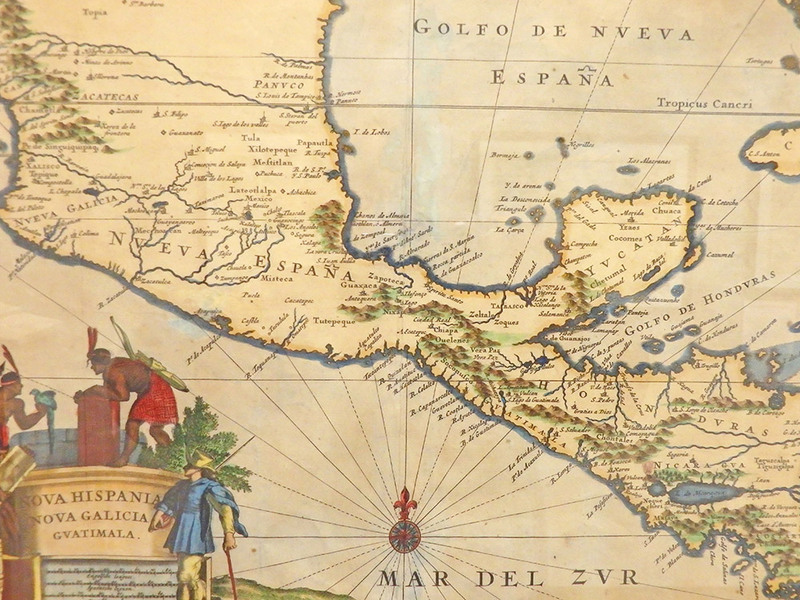 Early trans-Atlantic explorers and cartographers used many terms to describe the region, including Nova Hispania, America Septentrinale, Louisiana, Messico. A new world, full of challenges, where survival required independence, fortitude and resoluteness. The word TEXAS itself came from a misunderstanding in translation. When early Spanish explorers met members of the Caddo Confederacy in 1690, in what is today the Pineywoods of East Texas, they asked them what tribe they belong to. The Caddo, not understanding, answered with tejas, their word for “friendly.” First used by the Spanish as the name of the mission they built among the Caddo in 1716, the word TEXAS evolved over time and eventually came to be used to identify the region between Louisiana and the Rio Grande. A place blessed with abundant natural resources, and where waves of immigration have created a legacy of hope, courage, adventure, and accomplishment. TEXAS. 1. NOVA HISPANIA, NOVA GALICIA, GUATIMALA. Ogilby. 1671. 2. MISSISSIPPI SEU PROVINCIA LUDOVICIANAE. Homman. 1725. 3. A MAP OF THE BRITISH EMPIRE IN AMERICA. Popple. 1741. 4. 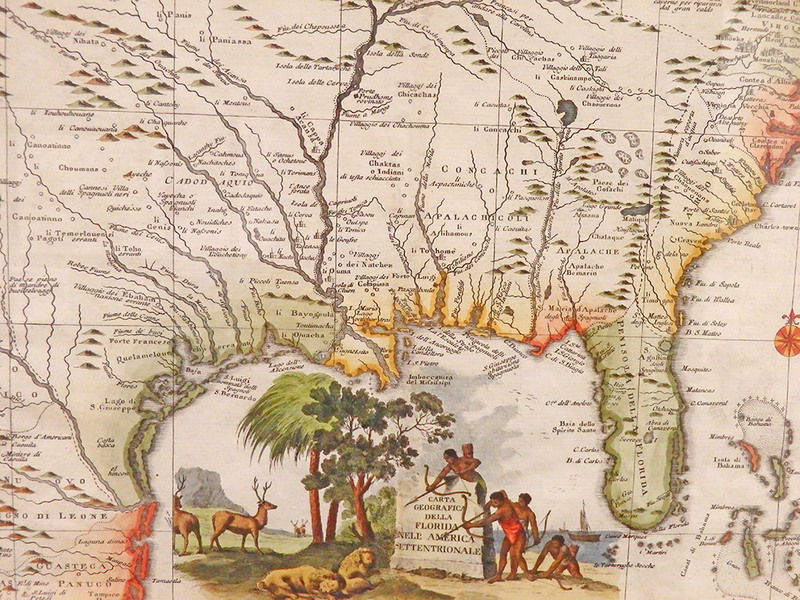 CARTA GEOGRAFICA DELLA FLORIDA. Albrizi. 1750. 5. 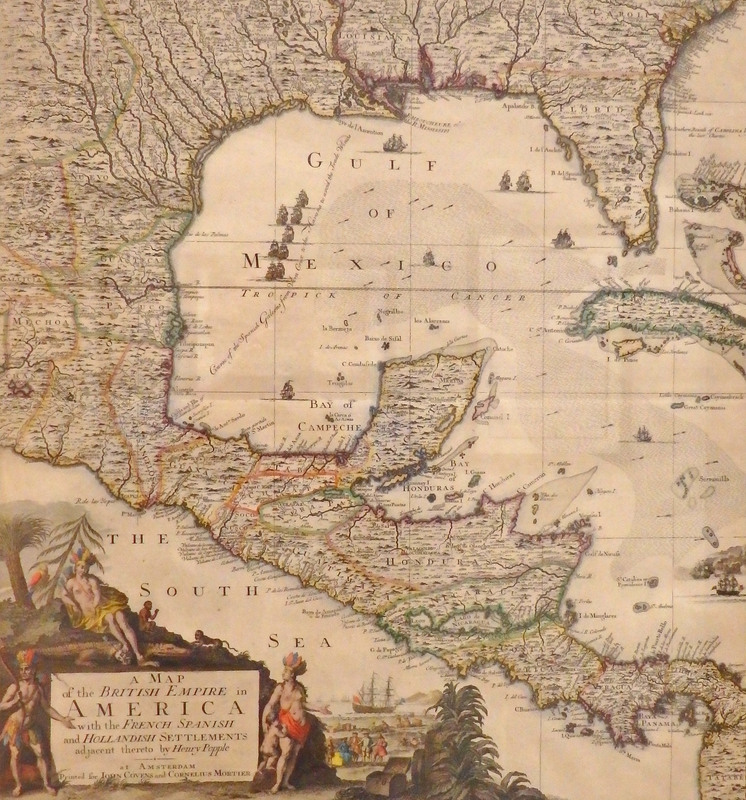 CARTE DE L’AMERIQUE SEPTENTRIONALE. Bellin. 1755. 6. CHARTE… NORD AMERICA… NEU SPANIEN. Pages. 1768/1782. 7. LA PARTE ORIENTALE… OCCIDENTALE.. MESSICO. Cassini. 1798. 8. UNITED STATES AND ADDITIONS, 1820. Thompson. 1821.